At first, Meridian Brothers’ psych-folk might sound kitschy and novel, especially to someone unfamiliar with one of Bogotá’s most beloved avant-garde acts. Perhaps as kitschy and novel as the album cover shown above. But there’s an urgency throughout the excellent ¿Dónde Estás María? – listen closely and you’ll hear the same fuzzy, driving grooves that you hear in your favorite Vampire Weekend songs. It might be weird, but you can’t say it’s lazy or not well written. And this band has been doing tropicalia longer, and better, than any late ’00s indie band still trying to be relevant. ¿Dónde Estás María? will be released on September 8th. 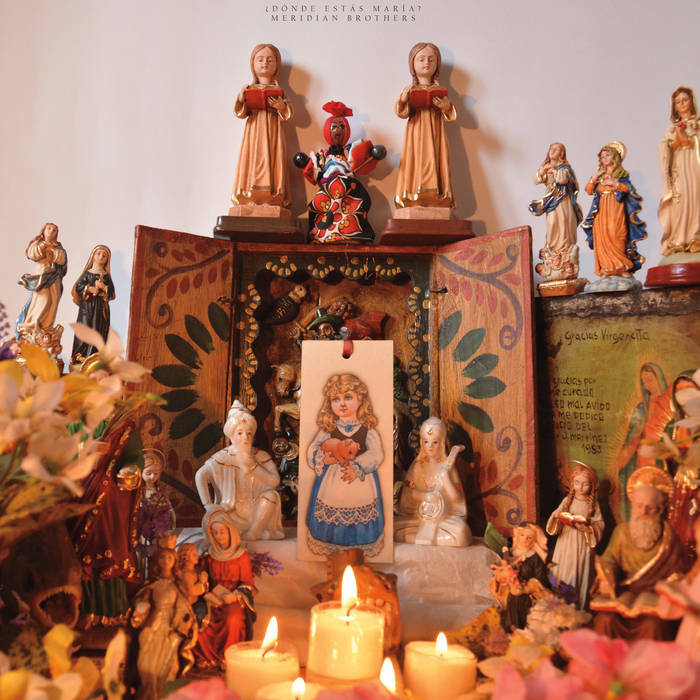 “The boundary-pushing Colombian group returns to Soundway Records with another unique album: dreamy psych-folk, blending traditional Latin rock with tropicalia, and lush string and choral arrangements.